Now that hockey season is coming to a close, it’s time to hang up your stick and gloves and reach for your other stick and gloves. That’s right—it’s about that time again. Lacrosse season. We have plenty gear to choose from if you’re stocking up for your other favorite sport, but if you’re in the market for a new pair of gloves, these are our top pics. The Riot was great—you know, best seller kind of great. But there’s always room for upgrades, and this model is worth switching up. This version features a Clarino palm that offers a more comfortable feel, and it’s 15% lighter than the original. TruVents allow for air to move freely through the glove for cooler temps and increased comfort within the glove. For home and away options, the cuffs are, like the previous model, interchangeable with all of the Burn and Riot models. 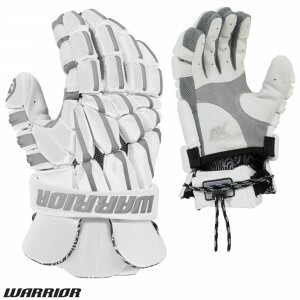 These gloves offer the same TruVent design that allows for air circulation that’ll keep your hands cool when things on the field start to heat up. 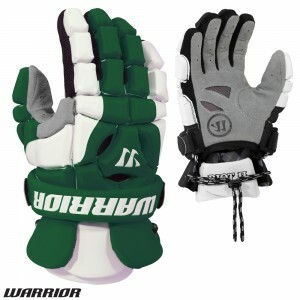 Unlike the last model we recommended, this glove features a nash palm, which is great for keeping a solid grasp on your lacrosse stick. This glove, with its dual density foam blocking, offers a ton of flexibility and protection from your fingertips to your wrist. If you’re in need of extra thumb protection, the Regulator 2 is the glove you’ve been looking for. This goalie glove has IPAX technology throughout the thumb—offering the utmost, lightweight protection during high impact play. The palm of this glove is suede: incredibly soft to the touch, and thin enough to allow you to move with a quickness.